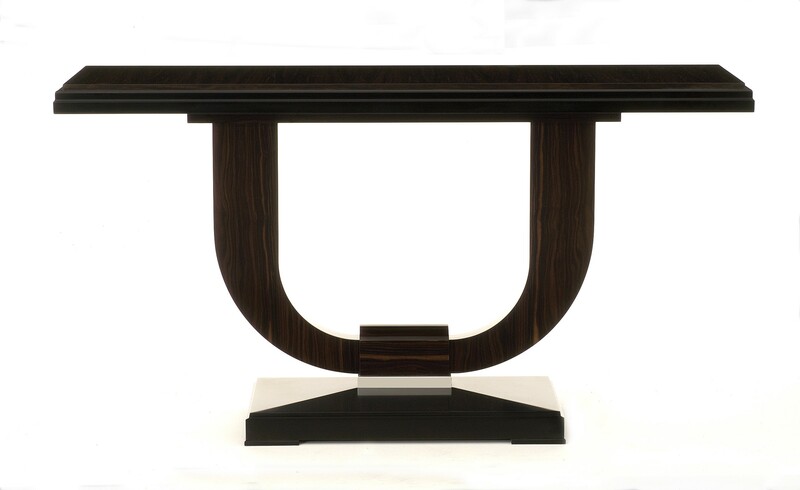 The lyre side table is veneered in Macassar Ebony features a classic French Art Deco single lyre. Named "Daniela" it is crafted with contrasting black lacquer edges and a contoured platform base which compliments the lacquered Ebony. The hardware is silvered bronze.